The Asian Development Bank supports the Dhostekhore Khola Micro Hydropower Project through the Energy for All Initiative to facilitate access to energy of communities along the Annapurna trekking routes. ADB’s financial assistance covers the cost of identified civil works components, power cables, and other accessories of the hydropower facility, amounting to USD 72,000. This project is initiated by Annapurna Dhaulagiri Community Eco-tourism Development and Promotion Organization (ADCEDPO) that manages trekking routes in Annapurna and Dhaulagiri massif in the Himalayas in north central Nepal. ADCEDPO’s goal is to create job opportunities for communities along trekking routes and to support community development projects with the income generated from tourism. The eco-friendly design of the trails and lodges along the trekking route retains the ecological balance of the area. This mini-hydropower project will provide clean source of power to the community, four lodges,and 2 Yak farms along the Annapurna trekking routes. The revenue generated will support five underfunded local community schools and two community clinics. Approximately one third of Nepal's population does not have access to electricity. Electrification levels are particularly low in rural areas where only 40% have access to power. Many of those areas are out of the reach of the Nepal national grid due to the difficult terrain that makes its extension either technically or economically unfeasible. Lack of electricity deprives the local communities in rural and remote areas from economic opportunities and hence the financial means to operate and maintain essential community infrastructure such as schools and health centers. These community services are vital to the development and well – being of the rural population. The local community of four villages – Paudwar, Sikha, Swanta , Nangi and Kindu own and operate four lodges along the Annapurna trekking routes. These lodges are not connected to the local grid. Each year, the four lodges alone consume about 20 tons of firewood, 300 liters of kerosene and around 90 x 16 Kg LPG cylinders. Energy is required for cooking, room heating, lighting, washing and other activities. The Dhostekhore Khola Micro Hydropower Pilot Project will have an installed capacity of 50 kW and will be located in Dhankharka of Shikha VDC Ward number 05 of Myagdi district in the Dhaulagiri zone, Western Development Region of Nepal. The main source of water flow is Dhostekhore Khola. It is a stable and reliable source of stream that has sufficient flow around the year and a wide catchment area. The hydro power plant will sell electricity to four community lodges: 2 Khopra Hotels, Dandakharka Hotel, and Bayeli Hotel along the Annapurna Dhaulagi Community Trekking Route. In addition, excess power will be distributed to the local community, two nearby Yak farms' lighting and heating, and for other productive end uses such us powering mobile towers. The Project will be owned by the local community, through a Micro Hydro Users’ Committee. The Users’ Committee will, in collaboration with ADCEDPO, be responsible for the installation and eventual operation of the hydro power plant. Part of the revenue will be used to support five community schools. The hydropower plant will displace direct combustion of firewood and use of kerosene and LPG for cooking, lighting, washing and heating. Informal logging for firewood will be reduced. Revenue from electricity sales and net income from the operation of the lodges will be used to support community schools (Himalchal, Paudwar, Swanta, Sikha, Kindu) and clinics (Nangi and Paudwar). 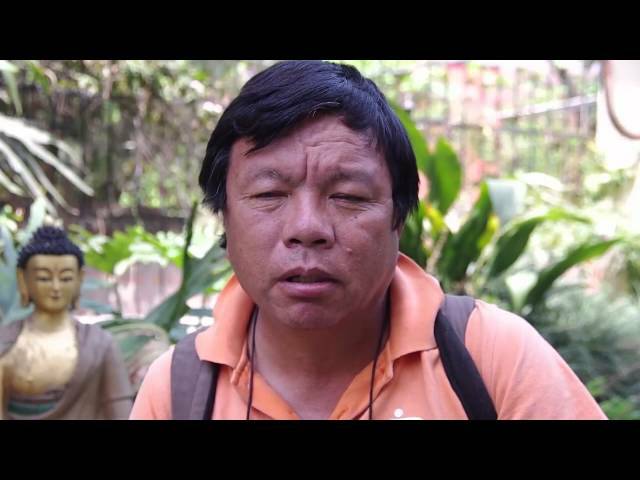 Mahabir Pun, Chairperson · Recipient of the Overall Social Innovation Award 2004 from the Global Ideas Bank UK, Ramon Magsaysay Award 2007, Jonathan B. Postel Service Award 2014, Internet Hall of Fame and Doctor of Humane Letters 2007 awarded by the University of Nebraska; Ashoka fellow. Boosting the local tourism industry by providing clean energy to power lodges. Revenue from the sale of electricity generated by the hydropower plant will support community schools and other development activities. Excess power will be used to provide lighting and heating to two yak farms and other productive end-use activities that can improve income generation by the local villages.